Despite yet another snow storm, Thursday morning I packed up my car and headed for Kennebunk, Maine for the Boston MQG's 4th annual retreat. As usual I spent more time socializing than sewing but I did manage to pick away at a few projects... 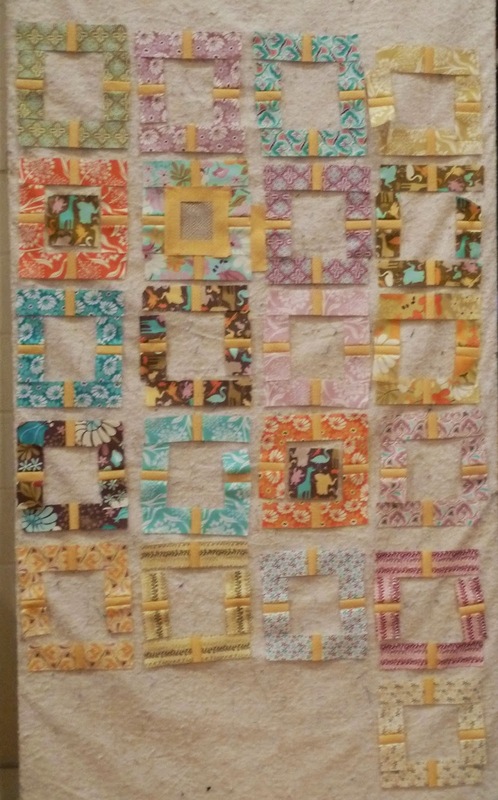 I got the center section of this Pure Plus quilted but decided it would be easier to use my guide bars to quilt the negative space once I got home. I also re-made the month 2 blocks for the Toes in the Sand BOM so I'll be all set to put together the top once I finish month 12 at Quilter's Way next week. And I finally cut up my Central Park layer cake. I'm making Garden Fence blocks based on the awesome tutorial by Hyacinth Quilt Designs. It doesn't quite work for a layer cake because you don't have enough for the center 4 1/2" squares but I'm thinking I'll use coordinating solids for the centers mixed in with bits of yardage I also have. As always we capped off the trip with a stop at Marden's to pick up a "little" fabric:-) I'm still riding the contact creativity high I got from being surrounded by so many amazing quilters. I'm unpacked and ready to get back at it! 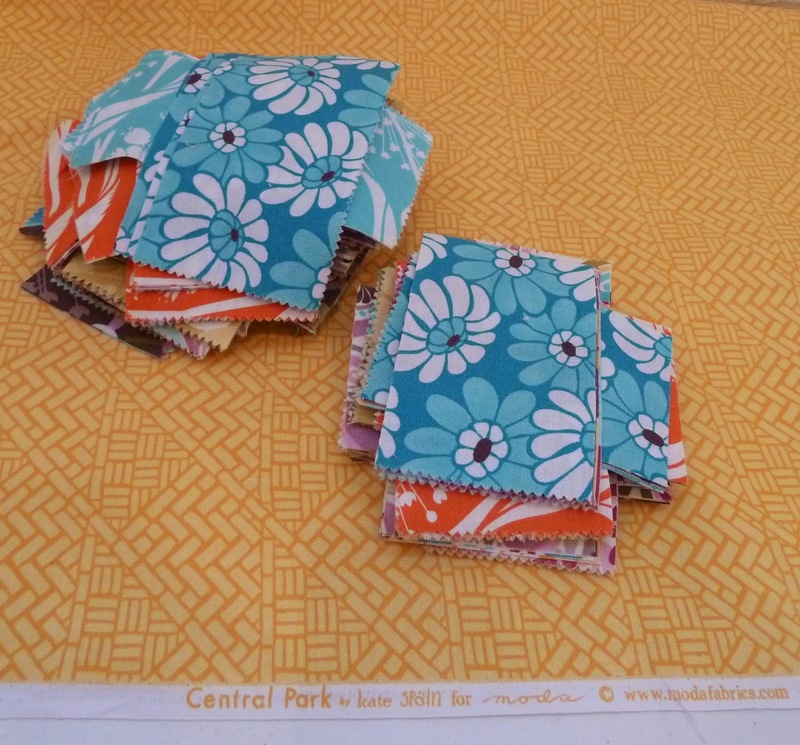 I'm loving your central park quilt. Love the background color you choose, goes well with that fabric line. Oooo, is that little fabric shopping ;). Love your new stash! So many lovely projects! Great colors in the Garden Fence ( and thanks for the link...add to the list!). Beautiful selections from Mardens! My MIL lives in South Portland, Maine and we often find ourselves strolling the aisles of Mardens!